Cleanses and tones normal and combination skin in a single step. The quick, natural, perfect skin-care starter, for use every day. 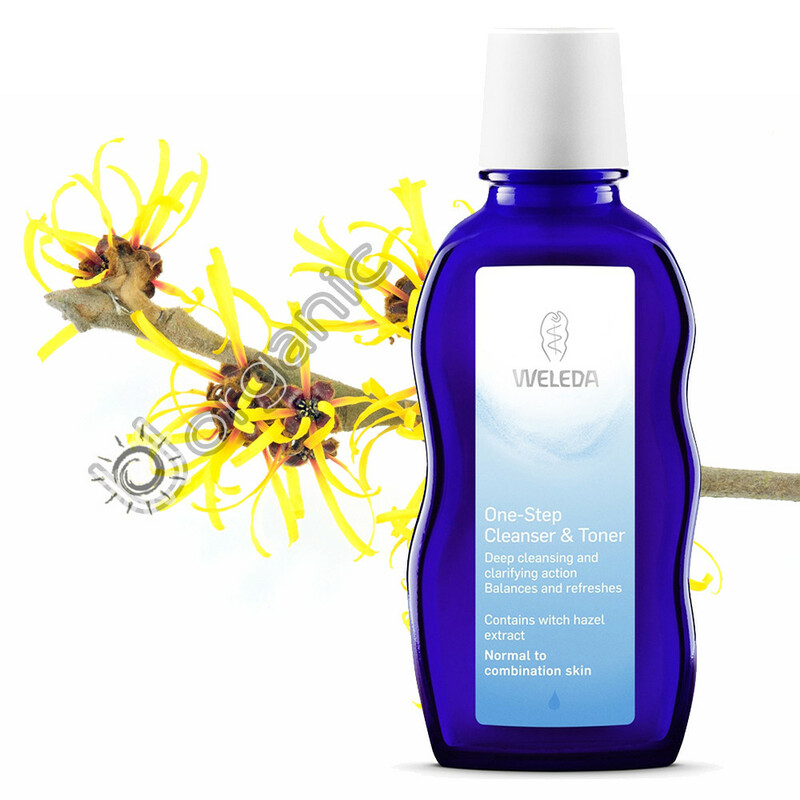 Yes, you care about your skin, and you want everything that goes on it to be natural and good, but you also want speed – so Weleda combined the day’s first steps in a single bottle. Milky lotion with soft olive oil soap combines with iris root for gentle cleansing. Mildly astringent witch hazel tones and the citrus fragrance comes from natural essential oils. Usage: Morning and evening, gently wipe over the face, neck and décolletage on a damp cotton pad. Repeat until the pad remains clean. Rinse with lukewarm water. Ingredients: Water (Aqua), Limonene*, Potassium Olivate, Fragrance (Parfum)*, Iris Germanica Root Extract, Hamamelis Virginiana (Witch Hazel) Distillate, Lanolin, Alcohol, Glycerin, Linalool*, Geraniol*, Citral*.